You cannot stop what seems like a constant increase in the price of gas. Consequently, You can take several common-sense steps to squeeze a few more miles out of a gallon. With the seemingly ever rising fuel price, reducing fuel consumption is a concern for most drivers on the road these days. 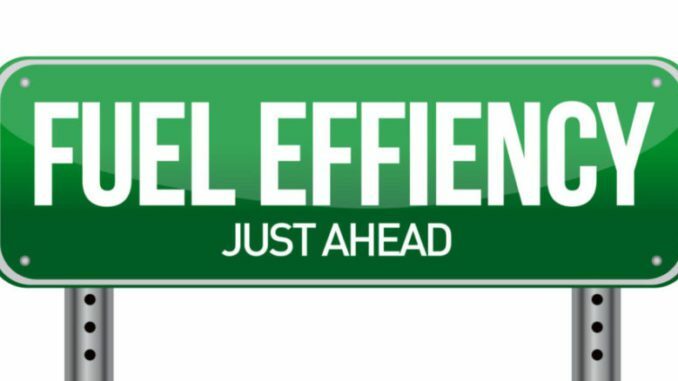 Fuel-efficient driving can save you hundreds of dollars in fuel each year and also prevent unnecessary wear on your vehicle. If you’re concerned about the price of gas or want to minimize the impact of your driving on the environment, you don’t have to scrap your car for a hybrid. Did you know that a engine can burn up to 30 percent more fuel if proper maintenance is not performed? If you implement a lot of these subsequent tips, these percentages add up quickly. You can improve your gas mileage by 0.6% on average—up to 3% in some cases—by keeping your tires inflated to the proper pressure. Under-inflated tires can lower gas mileage by about 0.2% for every 1 psi drop in the average pressure of all tires. Properly inflated tires are safer and last longer as well. Air conditioning can increase a vehicle’s fuel consumption by as much as 20%. Open the windows when you’re driving in the city, and use the flow-through ventilation system with the windows up on the highway. If you do use air conditioning, use the re-circulate option. It will minimize the impact. At the pump, keep the hose in the tank until after the pump shuts off and make sure you allow all the gas to pour out of the nozzle. As much as a quarter of a cup can pour from the hose. It’s yours, you paid for it. One reason you may not be getting the mileage you expect is because there isn’t as much gas in your tank as you think. 147 million gallons of gas were lost last year due to evaporation. Why did it evaporate? The gas cap was not on tight. So just make sure it is tight, and it will enable you to keep all the gas you pay for. When appropriate, use your cruise control. Reducing fuel consumption up to 6 per cent in gas consumption on the highway. Every time you step on the gas pedal to accelerate your vehicle, it consumes more gas. Since cruise control keeps your vehicle moving without requiring you to step on the gas pedal, you won’t be consuming as much gas. As a result, you will be saving money on gas because your miles-per-gallon will be higher. Corroded battery cables cause the alternator to work harder, using more gas. Have them cleaned as a matter of course with each engine check-up. Don’t let the vehicle idle for more than a minute. Idling consumes half-a-gallon to one gallon of gas per hour and pumps needless CO2 into the atmosphere. The modern engine will consume less gas turning off and re-starting than idling for extended periods. We are already being faced with no-idle zones. Also, to effectively warm an engine, drive it, don’t rev it. Engines only work hard under load and will warm up much quicker if you simply start the engine, wait for 20 seconds, (this builds the oil pressure,) and drive away. Change the air filter at least the set number of times outlined in the owner’s manual, more if you drive in dusty conditions. Have a regular engine check-up. 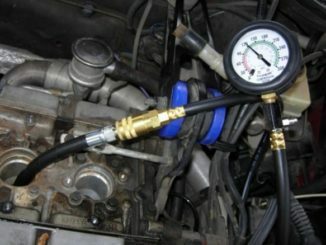 Since the advent of computer controlled fuel injection, there is no such thing as an old fashioned “tune-up” any more. At worst, you may be expected to replace spark plugs, oxygen sensor, the air and fuel filters. If your car was built since the mid-1980s, chances are it has an oxygen sensor in its exhaust system. 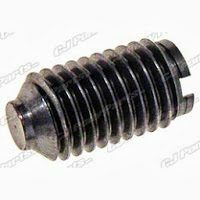 It should be replaced just as you would spark plugs, following the manufacturer’s recommendations. This little device trims the fuel delivery and has a profound effect on reducing fuel consumption. Driving in the highest gear possible without labouring the engine is also a good way of reducing fuel consumption. Driving at 60 km/h, a vehicle will use 25 per cent more gas in third gear than it would in fifth. Travelling at fast rates in low gears can consume up to 45 per cent more gas than is needed. If you have an onboard trip computer, you probably have an “Instant fuel economy” setting. Watch this gauge and keep the litres per 100 kilometres as low as you can. Think carefully about what you need in your vehicle. If you do not need something, do not pack it. Remove roof racks if not needed, as they create wind drag. The lighter the load, the lower the fuel consumption and emissions. An extra 100 pounds in the trunk reduces a typical car’s fuel economy by 1 to 2 per cent. Carrying excess weight wastes gas. Choose the right octane gas for your car. Check the owner’s manual to find out what octane your engine needs. Octane ratings measure gasoline’s ability to resist engine knock. But the higher the octane, the higher the price. Only about 6 percent of cars sold need premium gas. Still, premium gas accounts for about 10 percent of all gas sold. Resist the urge to buy higher octane gas for “premium” performance. Combining errands into one trip saves you time and money. Several short trips taken from a cold start can use twice as much gas as a longer multipurpose trip covering the same distance when the engine is warm. Trip planning ensures that travelling is done when the engine is warmed-up and efficient. You can improve your gas mileage by one to two per cent by using the manufacturer’s recommended grade of engine oil. For example, using 10W-30 engine oil in an engine designed to use 5W-30 can lower your gas mileage by one to two per cent. Thicker oil is harder to pump. This adds to parasitic horsepower loses. Avoid “revving” the engine, especially just before you switch the engine off; this wastes gas needlessly and washes oil down from inside the cylinder walls. This is really bad thing for the next start up, as the cylinder walls will be dry. Drive steadily. Slowing down or speeding up wastes gas. Also avoid tailgating. Not only is it unsafe, but if affects your economy if the other driver slows down unexpectedly. Do not rest your left foot on the brake pedal while driving. The slightest pressure puts “mechanical drag” on components, wearing them down prematurely. This “dragging” also demands additional gas usage to overcome the drag. Avoid rough roads whenever possible, because dirt or gravel can rob you of up to 30 percent of your gas mileage. Every time the wheels bounce up and down, forward motion energy is removed from the vehicle. The best way to describe this is to experience driving on a “washboard” road. Not only is it very uncomfortable, the vehicle will actually slow down from the transfer of energy. This causes the driver to apply more throttle – wasted gas. Inspect suspension and chassis parts for misalignment. Bent wheels, axles, worn shocks, and broken springs can contribute to drivetrain drag, not to mention the unsafe condition they create. SUV owners should consider switching from an aggressive patterned off-road tread to a gas efficient highway tread. Don’t fear gas additives. Look for those that contain polybutene amine (PBA), which can clean out deposits from carburetors, fuel injectors, and intake valves. They also may be able to restore your engine’s overall performance and help lower your carbon footprint. But don’t overdo it. Using too much of a particular fuel additive can actually cause damage. If you haven’t already, upgrade to synthetic engine oil, which boosts engine efficiency, and change your oil on a regular basis. Check your owner’s manual for recommendations specific to your vehicle. Avoid Traffic Jams – Even with all of today’s modern navigation systems, getting stuck in traffic happens to all of us eventually. But if you can plan a route that avoids congestion, even if you’re driving a few more miles, you may be better off. That’s because a stationary vehicle requires a lot of energy from the engine. On the other hand, so-called “steady-state” cruising is great for reducing fuel consumption. In a typical car, your MPG will increase by up to 50%! Change your gas filter – One filter that will have a direct impact on your gas mileage is your gas filter. Manufacturers recommend changing your gas filter every 10,000 to 15,000 miles. 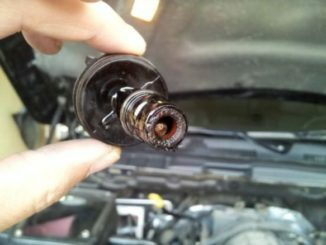 Even a tiny grain of dirt can clog injectors, leading to erratic performance and lousy gas mileage. There are many different ways of reducing fuel consumption. Some are small changes in driving habits, others involve simple maintenance tips. Some of these methods improve your mileage by only a few percentage points, others by more. When you add them all up, it becomes a large increase.